BGSU's News Service was for many years the university's primary administrative body for documenting BGSU activities and events, both for publicity via the news media and for posterity. It was later absorbed into the university's present-day Office of Marketing and Communications. This digital collection features select items from the BGSU News Service negatives and contact prints collection (UA-0037), which contains photographic documentation of nearly all aspects of academic and extracurricular life at BGSU from 1958-2005. This digital collection contains only a selection of items from the BGSU News Service negatives and contact prints. The full collection is available for research at the Center for Archival Collections. No appointment is required, but it is recommended to contact the CAC prior to visiting to ensure that the collection will meet your research needs. 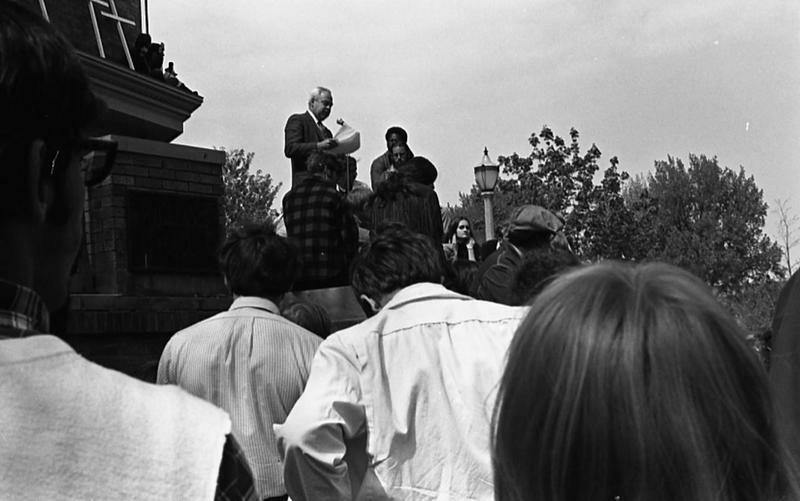 BGSU President William T. Jerome speaking to a crowd of students from the steps of Williams Hall, shortly after the BGSU community had learned of the shootings on the Kent State University campus. 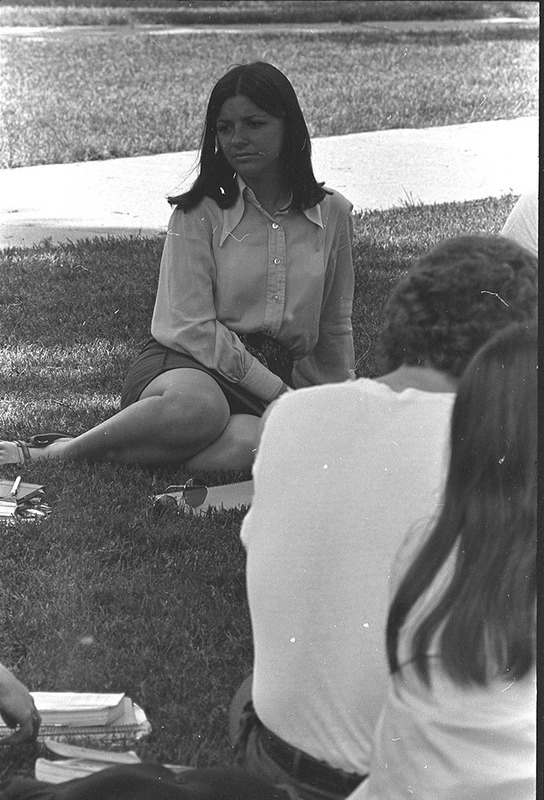 A New University outdoor class after the Kent State shootings of May 1970. 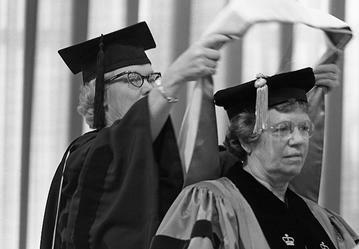 Ceremony at BGSU bestowing anthropologist Margaret Mead with an honorary degree. 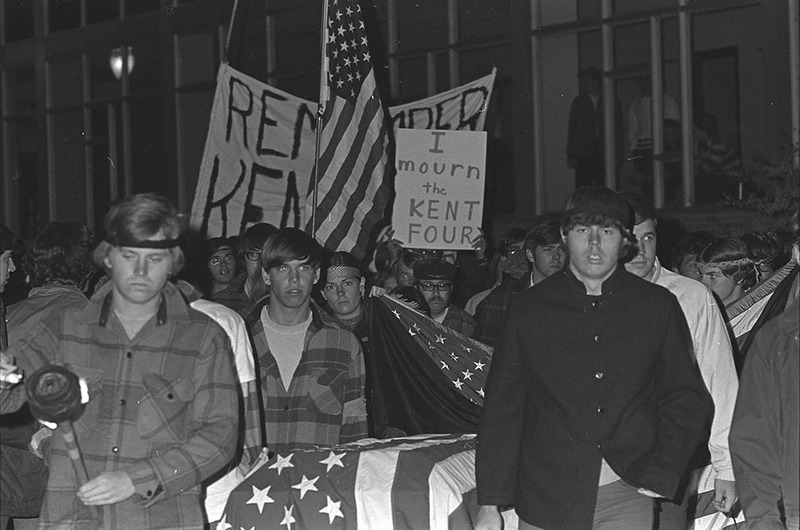 Photographs of a candlelight vigil held by BGSU students in the aftermath of the Kent State Shootings.